Well, this kind of makes me wish I had a REDcard! 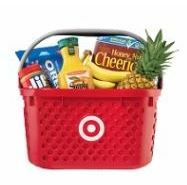 REDcard holders need to plan an in-store shopping trip this week, September 16th through September 22nd, because Target will be offering REDcard holders an extra 10% off in-store purchases! This special 10% off coupon will be released on the Target app on 9/16 and the standard 5% off REDcard discount will be applied after the extra 10% off discount! Exclusions: alcohol, Apple products, Bose, clinic and pharmacy, dairy milk, DSLR cameras and lenses, Dyson upright vacuums, Elf on the Shelf, Fitbit, Gift Cards, Google Home/Mini/Max, GoPro, JBL, LEGO, LG OLED TV, L.O.L, Surprise House, Mobile Contracts, Nintendo Hardware & Switch Games, Power Shave, Power Dental, Prepaid Cards, PS4 Hardware, Samsung TVs, Sonos, Target Optical, Tile, Traeger, Tylenol Pain Relief, Vitamix, Weber, Xbox One Hardware. Don’t have a REDcard yet? Also, this week, sign up for a Target REDcard and you’ll be given a one-time coupon valid for $30 off a $100+ purchase either in-store or online (some exclusions apply). This coupon will be mailed to you and will be valid through October 31st, 2018. Whoa! That’s a pretty big incentive to go get your REDcard this week! Next post: Target: SpaghettiOs just $.34 per can with your phone! No coupons to clip!